I took this photo yesterday near Fishing Bridge in Yellowstone. 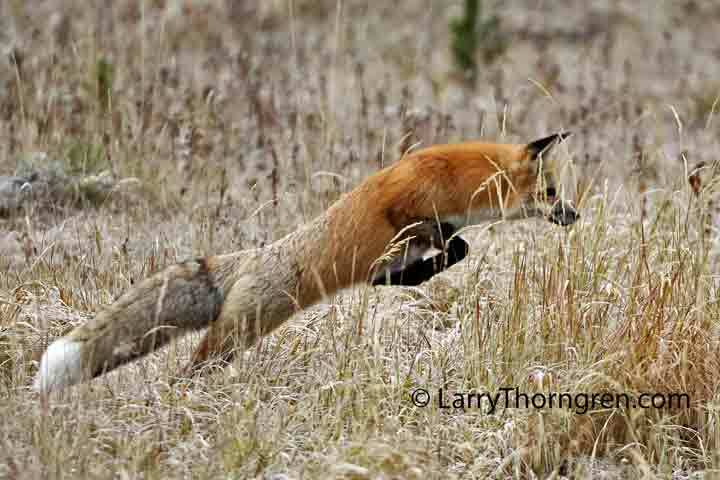 This Red Fox was hunting mice and I caught him as he leaped at the sound of a mouse in the grass. Canon 60D, 500 mm Canon Lens.